Masked raiders armed with sledgehammers and a machete stormed a fashion boutique and stole thousands of pounds of designer goods. 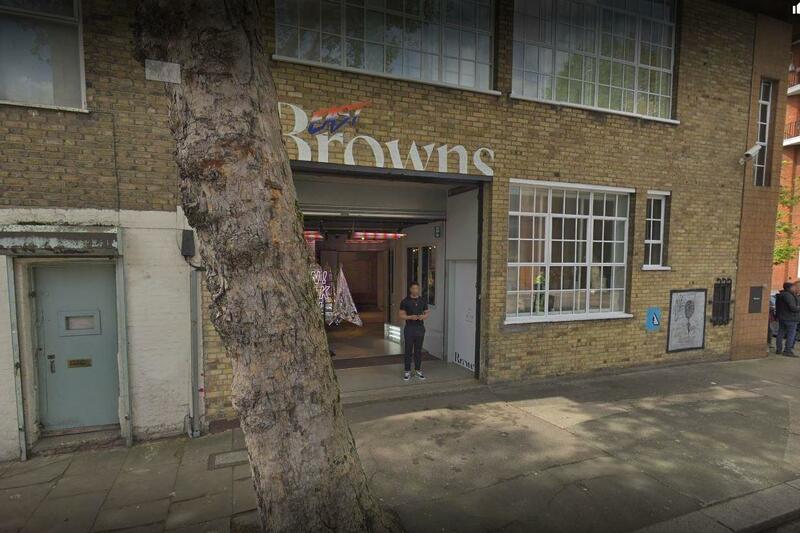 The three men burst into Browns East store in Shoreditch, where they smashed glass display cabinets full of expensive handbags, jewellery and shoes. After ransacking the upstairs floor of the store, the burglars fled in a waiting getaway car. The daylight raid took place on Tuesday, just after 2.30pm. Detectives from the Met’s Flying Squad are now hunting the three suspects, who were all wearing masks and balaclavas. Taro Shimada, 26, who lives nearby, told the Standard: “I saw one of the members of staff afterwards, he was pretty shaken. The store on Club Row is the east London branch of luxury boutique Browns, whose flagship store opened on South Molton Street in Mayfair in 1970. In 2015, online clothing giant Farfetch bought the company before opening the two-storey Shoreditch store, which is housed in a former print factory, two years later. Browns has displayed a range of designer brands over the years, including Rejina Pyo, Fendi, Gucci, Jacquemus and Calvin Klein. The store also championed designers such as Alexander McQueen, John Galliano and Christopher Kane at the start of their careers. A Met spokeswoman described one of the suspects as more than 6ft tall and said he was wearing a tracksuit and had a strong Cockney accent. She said that after the raid the men “ran back outside and got into a waiting car, which drove off in the direction of Arnold Circus”. A manager at the store declined to comment. Anyone with information should call 101 or Crimestoppers anonymously on 0800 555 111.